This month, FSJ takes a look at the ever-changing landscape of social media and the Foreign Service. Using Russia as a case study, Robert Koenig, a Foreign Service Officer at the U.S. Embassy in Moscow shows us how the embassy staff -- especially the U.S. ambassador -- reach out to Russians through Twitter, Facebook and other social media vehicles. In Success and Growing Pains: Official Use of Social Media at State, University of Pittsburgh graduate student Jesse Smith looks at the profound effect digital technology is having on diplomacy. AFSA’s Director of New Media Ásgeir Sigfússon reports on the association’s experience in the growing world of social media, and FSO Ben East offers a light look at what happens when Twitter meets the State Department bureaucracy in This Is How We Tweet. Elsewhere in the issue, AFSA President Robert Silverman kicks off the 90th anniversary of AFSA and the Foreign Service with his column, The Foreign Service at 90: Future-Oriented, with Traditional Strengths. Senior FSO Beatrice Camp explores the great potential for cultural and scientific diplomacy through the State Department-Smithsonian partnership, and this issue’s Foreign Service Heritage department features FSO Gerald Loftus writing about the enigmatic J. Rives Childs. And in Jasmine and Lilacs Ray Peppers reflects on the charged atmosphere of Dhaka in 1967. Changing times call for changing attitudes toward member engagement. 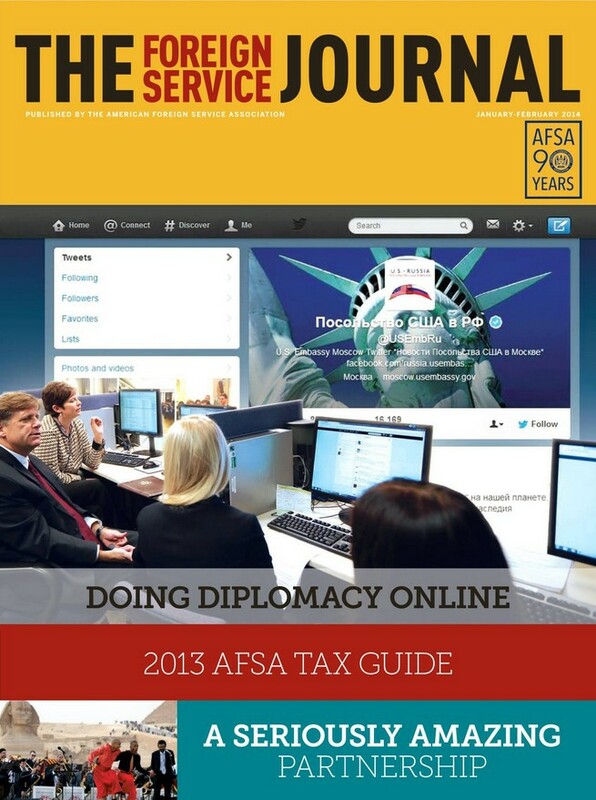 Here is a report on AFSA’s first four years of experience in the growing world of social media. Despite the wealth of material generated by and about U.S. diplomat J. Rives Childs, he remains an enigma a quarter-century after his death.